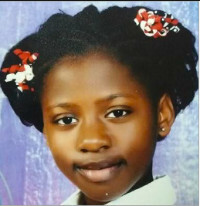 thebahamasweekly.com - RBPF Nassau: Police seek help in locating 14 year old Inez Francious of Carib Road. RBPF Nassau: Police seek help in locating 14 year old Inez Francious of Carib Road. Nassau, Bahamas - Police are seeking the public’s help in locating a juvenile female who has been reported missing by family members. Francious is described as being 5”tall, slim build with dark brown complexion.